Sheru was born in Berlin, Germany, and moved to Australia in 1983. He grew up living an active lifestyle filled with sports and music, before finding his real passion in life - dance. Sam's focus is on Popping and Locking techniques, however he has also trained in many forms of street dance. Sam is part of the internationally recognised group 'Swagamama' as well as being part of a new crew venture known as “Equals”. Tammi teaches Hip Hop, HIIT, Dance Bootcamp and Dance Fitness. Her street style of dance has elements of Jazz with a flirty edge. A methodical teacher, Tammi takes her time to ensure that even the newest and most inexperienced dancer is comfortable and learns as much as they can in class. Rhys' love for dancing took over his life from a very young age. He trained in many different dance crews throughout high school and externally at studios but it wasn't until he travelled to LA in 2015 and completed a LAtitude Dance Course that he really found himself. Upon returning to Australia, Rhys started his own company Lucid Moves and now also represents as a teacher & performer with some of Brisbane best dance companies such as Elements Collective and Mad Dance House. Lizzie wicks is an International dancer, teacher, choreographer and creative director. From choreographing fashion shows for Nike Australia to the BMW ‘M' series launch in Shanghai, china and working with artists who have appeared on X-Factor Australia, SYTYCD and Australian Idol, Lizzie has had a wide and varied career to date. She has been requested to teach her style to some of the biggest dance companies across the world, touring countries like the United Sates, Australia, New Zealand, United Kingdom, China, Philippines, Norway and Mexico. Wanida’s professional dance career started during 2010 while she was training at Raw Dance Company. As well as becoming a well versed dancer in styles such as Hip Hop, Jazz, & Dancehall, she has successfully gone on to became a freelance worker teaching for companies such as Mad Dance House, Elements Collective, Bust a Move Dance and Queensland Ballet to name a few. She has a love of street dance and has continued her own training here in Brisbane, and in 2014 and 2015 in LA. Jasmine began dancing at the age of 3 and studied Tap, Jazz and Ballet. As the years went on, Jasmine expanded her repertoire to include Hip Hop / Street Dance. All these different styles fused together have created Jasmine’s own commercial street style, which she is now renowned for. Jasmine’s Mega Jam YouTube channel is currently one of the biggest choreography dance channels in the world, racking up 1.4 million subscribers and over 400 million video views globally! Tamara graduated with the Queensland Dance School of Excellence in 2004 to be accepted into the Queensland Ballet Company’s full time Professional Year Program. In 2007 she received a full-time contract with the Company under Artistic Director Francois Klaus. She remained as a Company Dancer performing both corps de ballet and soloist roles and touring annually throughout Australia and internationally. In 2013 she continued under the directorship of current Artistic Director, Li Cunxin. Moving to Germany in 2014, Tamara joined the Anhaltisches Theater in Dessau as a Guest Artist. She then went on to perform as a Soloist dancer with the Deutsche Oper Ballett in Berlin until her return to Australia in late 2015. Tamara is now focused on educating young artists throughout Queensland. Since graduating Western Australian Academy of Performing Arts (WAAPA) in 2008, Joseph Simons has become one of Australia’s busiest performers, and innovative young director/choreographers. Touring extensively throughout USA, UK, Asia and Australia, Joseph has worked for major dance companies including Chunky Move (Connected, I Like This), Lucy Guerin Inc. (Structure and Sadness, Untrained) and West Australian Ballet (soloist: Dolly, Lickety Split, Title role:Pinocchio). He has also been in development casts for Force Majeure, Australian Dance Theatre and DV8 Physical Theatre, London. Most recently, Joseph has been touring his one-man-show First Things First throughout USA, Asia and Australia – scoring him nominations forOutstanding Male Performer (Perth FringeWorld Awards), Best Male Dancer (Green Room Awards) and Performer of the Year (Queens Ball Awards). Sam has been dancing since the age of 5, studying Ballet, Jazz, Flamenco, Cabaret, Singing, Musical Theatre, and his passion – Tap Dance. At the age of 14 Sam became the Junior ATOD Australasian Tap Champion, which he later reclaimed at the age 17 winning the Senior ATOD Australasian Tap Champion. Sam joined Raw Dance Company in 2011 and has since toured with RAW’s Untapped, Bang! Crash! Tap! and Raw Metal throughout Western Australia, Victoria, Tasmania, New Zealand and the United States, including a season in New York City. Artistic director and Founder of Precision Dance Company, Pryce Brown has produced shows performed in Brisbane’s prestigious QPAC theatres, as well as accomplishing a career in various different countries over past several years. Pryce Has furthermore worked alongside various artists as a dancer such as Samantha Jade and Zoe Badwi. Chloe is a Brisbane based performer and teacher spanning the dance genres of jazz, hip hop, commercial, contemporary, classical ballet, tap, acrobatics, cabaret, musical theatre as well as singing and acting components. 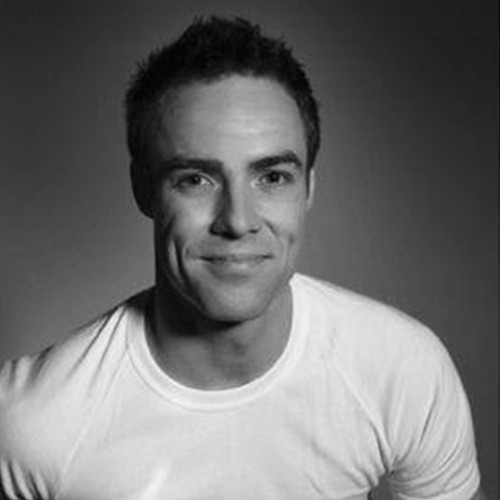 Originally from Sydney, Michael Edge has trained in the Performing Arts for many years. Michael went on to perform in the films Moulin Rouge and Bootmen as a featured dancer. Michael toured Australia in the smash hit musical Shout! He has also performed in various stage shows and film clips in Australia and internationally including artists such as John Farnham, Vanessa Amorosi, Marcia Hines, John Paul Young and Kylie Minogue. As well as singing and dancing, Michael has appeared as guest roles in a number of television programs and commercials. Michael is currently choreographing at various Dance Schools, Workshops, Conventions and Full Time Performaing Arts Schools in and around Queensland. For Mandy, Dance was a much loved hobby until she was employed at a Brazilian Theatre Restaurant in Brisbane’s Fortitude Valley in 2006. Here she was trained in the unique style of Latin American movement including Samba, Salsa, Afro, Axe & Lambada. Because of her background in Latin dance, Mandy decided to become a Zumba Instructor to inject a bit of her dance passion & energy into her students as health and fitness are also a big motivation in her life. Mandy also teaches Yoga / Pilates at MDH.